Ever resorted to baby food? I was just in the bodega around the corner from my work up here in Harlem, and the only things to eat are the deli meats (Boar's Head low sodium, thankfully), random fruit, mixed nut packets, water, Goya coconut milk, canned tuna and some of the baby foods. Everything is artificial SAD junk. I feel so bad for people who eat that crap daily...and then have only McDonalds and Subway to choose from otherwise. Even the choices in the babyfood section were total crap, but the Beech Nut all natural "Tender Carrots" caught my eye. Haven't tried it yet but I feel a little weird about it. Then again it's only 2.5 ounces, and the ingredients say "Carrots, Water." Ever gone for the baby food because there simply wasn't anything else? that's not too far from where I am. my office is on 136th and adam clayton powell. 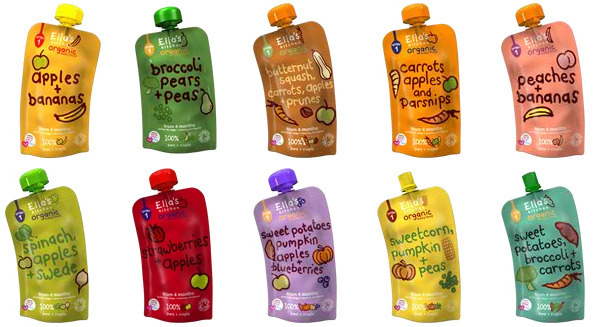 when i was nannying i used to finish up a lot of these organic pouched baby foods--i actually really liked a lot of them. miles apart flavor wise from the standard conventional brands. hey, I work in Harlem too. Harlem is pretty big though. I work on 131 and Broadway. Whoa...those ingredients aren't bad at all! Won't be doing the babyfood again, unless it's the absolute last option. Ugh...it was gross. I got myself 2 eggs scrambled, 6 slices of bacon, a can of coconut milk and the little jar of pureed carrots, just to see what it's like. Yes, whenever I was bad and ate/drink something and end up with an upset stomach. It helps sooth my stomach and there are some good flavors. My favorite are the little pouches of butternut squash + peach (the major brands are SProut, Plum, Peter Rabbit, and Ella's). It soothes my stomach, but it doesn't have enough calories to be a major part of the diet. As an addendum for a serving of veggies or fruit it might be fine. It's also a great way for me to eat veggies and fruits in general too I admit because I tolerate them best heavily cooked. Get the coconut milk and drink it. Even the canned tuna would be better than baby food. I can't say that I've ever eaten baby food in lieu of real food.